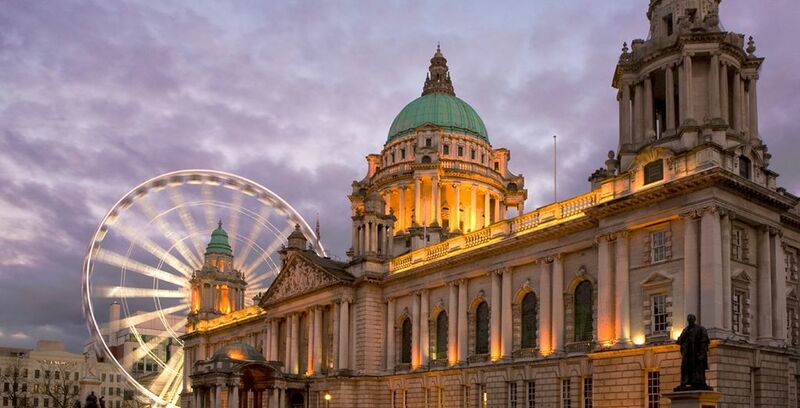 Booking to Belfast up to -70% off To take advantage of these offers, join now for free! Great savings ️ on hotels in Belfast. Discover our offers up to 70% Off on Flight + Hotel. The Best Deals with Voyage Privé. If you want to be right in the middle of city life, opt for this luxurious hotel. You can shop until you drop in Victoria Square before returning to relax in the jacuzzi and sauna. With hundreds of rooms, an indoor pool, and a beauty spa, this is the perfect place to unwind after a day exploring Belfast. If you’re a fan of music, you’ll love this deluxe hotel right next to Belfast’s Grand Opera House, which is offered as part of our Irish Explorer tour. Within easy walking distance of all the main sights in the city, you can relax after a long day with a coffee at the on-site Costa. Another option for an energetic and adventurous traveller is this comfortable and friendly hotel located right in the middle of the Cathedral Quarter. You can opt for this centrally located accommodation on our Game of Thrones self-drive tour! Our reviews on Belfast and its hotels: why make your booking there? 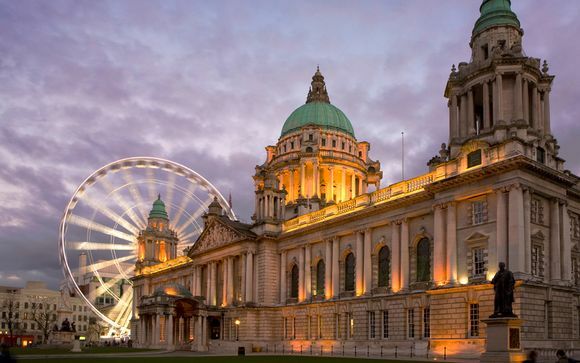 Whether you're taking your children on their first holiday, or simply stopping over for the weekend with a partner or friends, there is something for everyone in the dynamic, modern city that is Belfast. Grab a coffee in Victoria Square during a girls' weekend before shopping for unique fashion and homeware goods in St. George's Market. 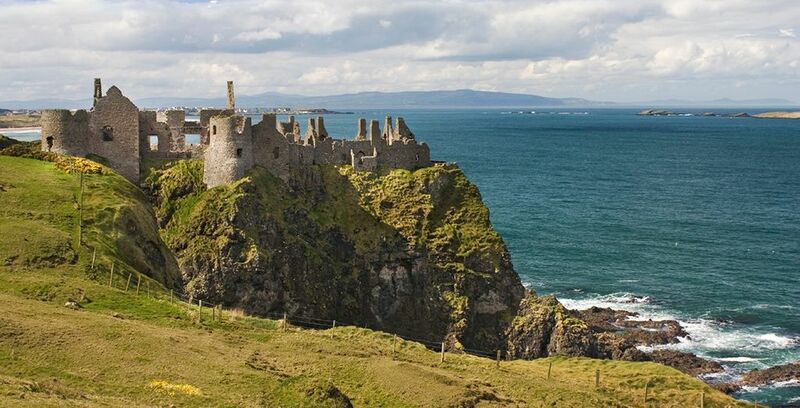 If you're a Game of Thrones fan, step into the world of dragons and sword fights with a tour around the stunning filming locations along the coast. Take your teenagers to the Titanic Exhibition to marvel at the true story of the ill-fated ocean liner and give them some historical context for Jack and Rose's great love story. 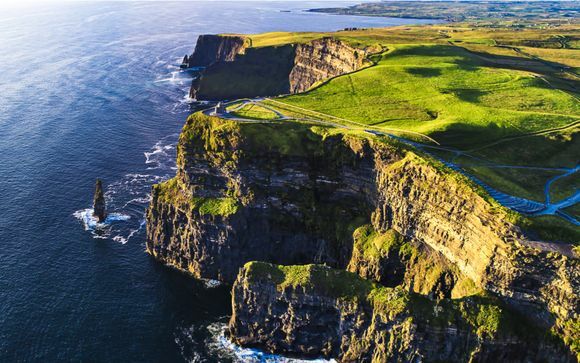 If you're travelling with little children, you can take a trip out to the countryside to visit the jaw-dropping natural wonder of Giant's Causeway and let their imaginations run wild. The Voyage Privé hotels are also ideally suited for adults and children alike. Opt for swimming lessons for the youngsters at Dunadry while taking a moment to yourself in the fitness room or spa! Before you can book your ideal vacation, you need to quickly register for an account with Voyage Privé. Head to the website, and then select Join Now and enter your details to complete the easy sign-up process. It's completely free, and once you've become a Voyage Privé member you can select your chosen offer. If there's no offer currently available for the destination, you can create an alert to let you know as soon as a deal pops up. By creating an account with Voyage Privé, you can immediately access all of the fantastic travel resources. Besides offering you discounts of up to 70% or more, we can also provide you with outstanding customer service both before and during your holiday. You can download our handy app to bring on your travels, ensuring that you always have the latest information to hand about your trip. At Voyage Privé, we know that some travellers wish to book both their flights and accommodation, while others are just looking for the perfect hotel, and we can offer you both of these services. Opt for convenience with one of our many flight and hotel packages. You simply select your hotel, and then we do the rest. Tell us your preferred departure times and we will book you onto an airline. Don't even worry about airport transfers – we will have your transportation organised on your behalf. If your flights are already booked, simply select one of our hotel deals at Voyage Privé. Log in to your account and make a booking, or ask for an alert to let you know when a deal begins! This area of Belfast is a bustling hub of cultural and commercial activity, which makes it the ideal place to base yourself during a trip. You can tour the Victorian Gothic architecture of the grand St. Anne's Cathedral or enjoy a range of cultural shows during the Arts Festival in January. For stunning waterfront views, you cannot go wrong with a visit to the Titanic Quarter. Imagine yourself as a shipbuilder in times of yore while visiting the Titanic Exhibition, or travel in early 20th-century style along the shore on one of the trams. For a modern take, opt instead for a segway tour! Another cultural and historical hotspot, this area is known for its iconic red brick university. You can attend an evening play at the Lyric Players' Theatre or unwind at the relaxing Botanical Gardens. If you visit in April, you're well situated to attend one of the screenings offered at the Belfast Film Festival. If you want to learn a bit more about Irish history during your trip, it's ideal to stay in this district of the city. You're likely to hear Irish spoken when you're out buying your morning coffee, and you can also pop over and visit the Irish language cultural centre, known as Cultúrlann McAdam Ó Fiaich. If a little bit of shopping is more up your street, then a hotel in the Market Quarter will suit your needs. Each weekend, St George's Market opens up with hundreds of traders and stalls. This ancient market has run since 1604, so you will be a welcome guest in a long tradition of craftsmanship and commerce. Belfast is a rich and complex city with an active and dynamic cultural life, as seen in districts such as Queen's Quarter and Cathedral Quarter. However, visitors can also explore the serene and timeless landscapes, such as the stunning natural rock formation on the coast at Giant's Causeway. Belfast is a city that truly lets you step back in time and transport yourself to another era. You can imagine yourself aboard the Titanic in the morning and then learn about the Troubles in the afternoon. Whether rain or shine, you can shop antiques and rare finds at St. George's Market on the weekend, or immerse yourself in one of the many museums, concerts, and artistic performances in the area. Stop off at one of the ancient pubs in the city for a pint of Guinness – it's even in some of the pies! For a hearty meal after a walking tour, you might want to try some famous Irish stew. You can also enjoy a late breakfast on the weekend with a traditional Northern Irish fry up. Don't forget to order the soda bread, which is a speciality! James Cameron's Oscar-winning movie begins in Southampton, but the famous ocean liner was actually constructed on the shores of Belfast. Learn about the Titanic's history, and Northern Ireland's traditional shipbuilding, at the Titanic Exhibition. Your ticket price also includes a tour of the retired SS Nomadic, which is permanently docked in the Titanic Quarter. If you're more academically inclined, or just appreciate stunning architecture, head over to the grand main building of Queen's University. Open since the mid 19th century, you can visit in the evening to see the traditional brickwork light up, or explore the Botanical Gardens. This area also houses the Ulster Museum for visitors who are interested in learning more about the history of Northern Ireland. The complex religious and cultural history of Belfast is etched – literally – across the city with an array of murals along the walls. Learn about the meaning and history of this artwork with one of several tours that are on offer. You can stretch your legs with a walking option, or choose a cab tour. A newer must-see addition for the Belfast visitor is the chance to stand where Jon Snow and The Hand of the King stood proudly before you. With several options available, you can choose to explore the shooting locations for Winterfell, or pretend to be the king or queen of the Iron Islands for the day! 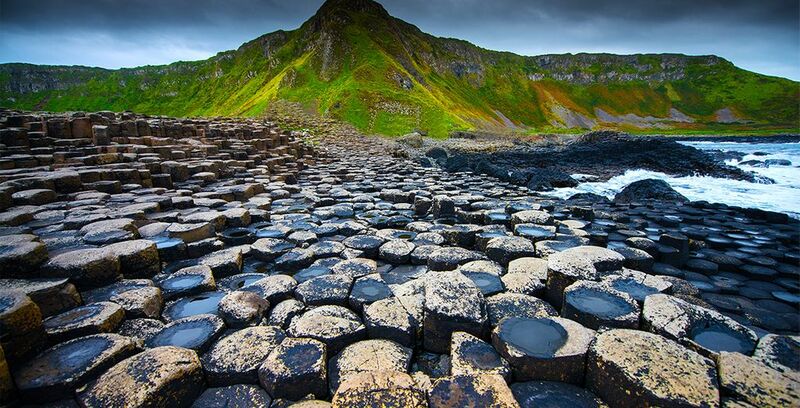 Although a little outside the city, this ancient geological formation is an essential stop for any Belfast visitor. Now looked after by the National Trust, your children will love stepping from one giant volcanic rock to another. With stunning views of the coast, you can't go wrong with this day trip.